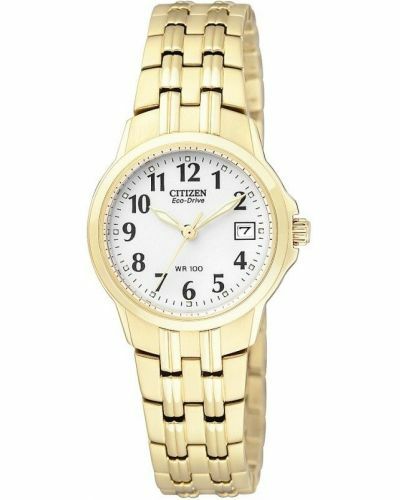 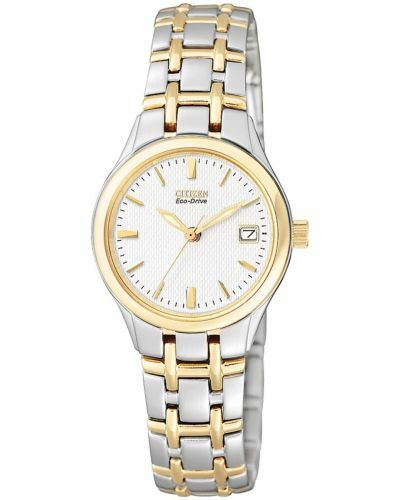 A simple and classic design which holds a two-tone stainless steel and gold plated bracelet that flows smoothly around the wrist. 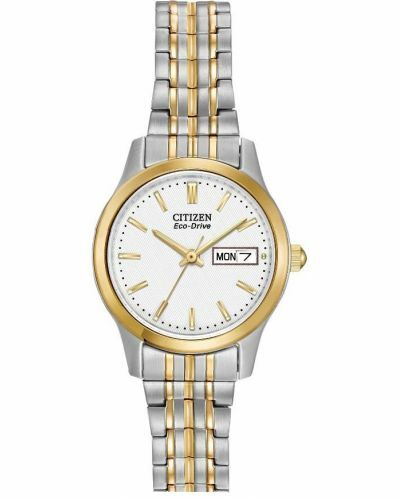 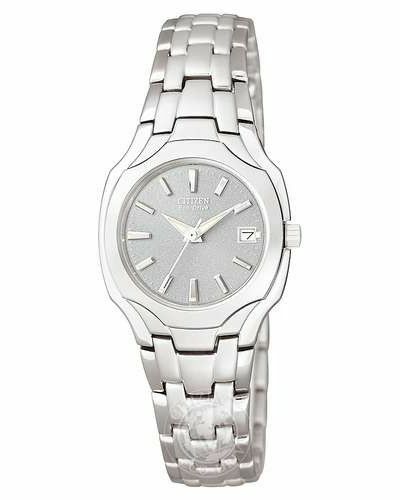 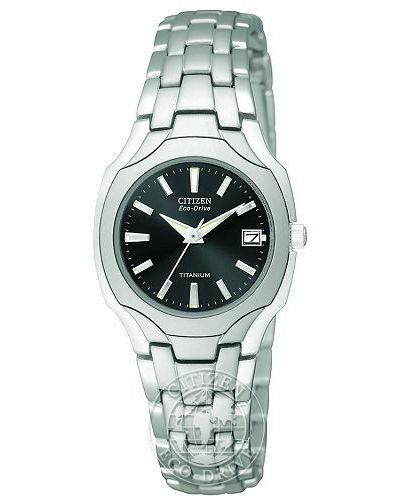 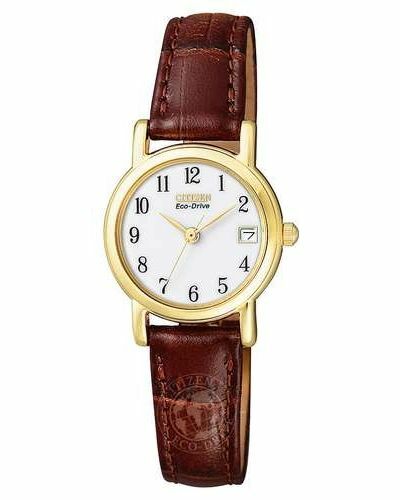 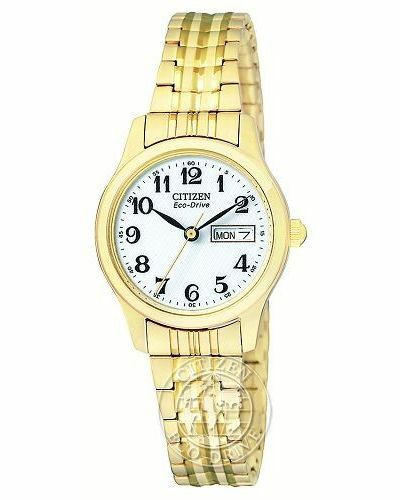 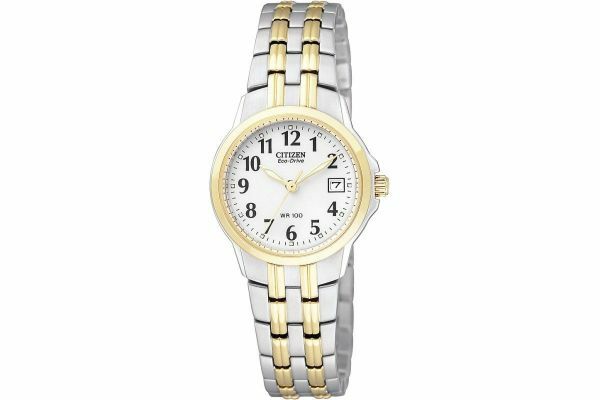 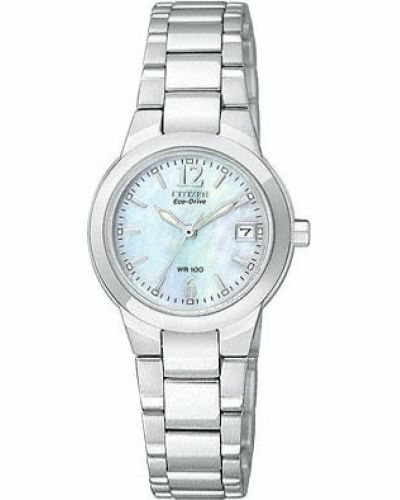 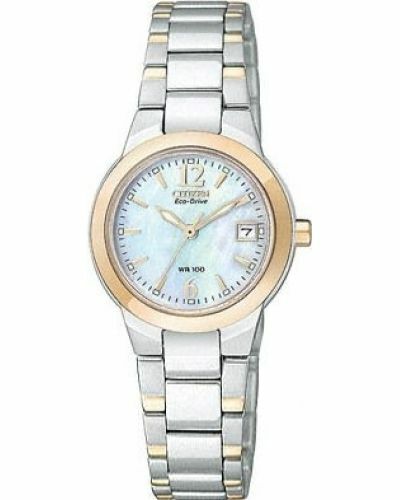 This ladies watch features precision with the high quality Eco-Drive movement that is encompassed within the dial case. 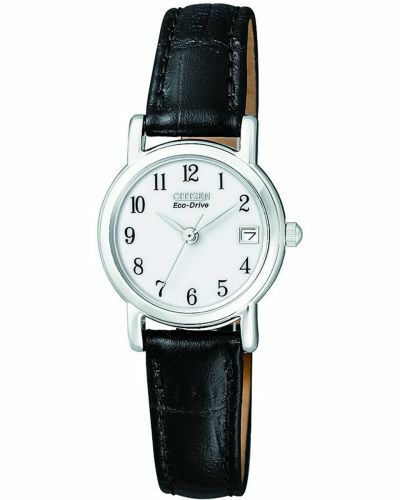 Also with prominent numeral markers it is visually very clear and easy to read. 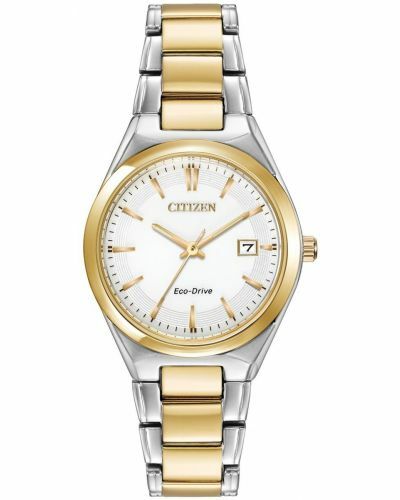 For us to size your new Citizen Ladies watch as accurately as possible, please take a look at our downloadable Watch Sizing Guide.